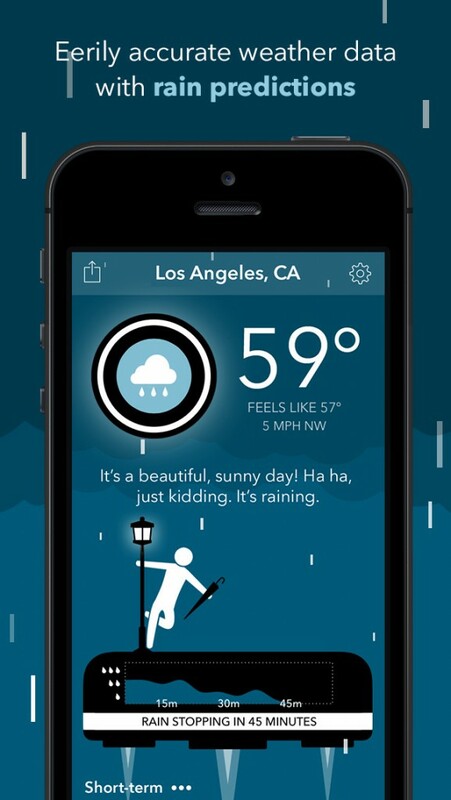 Get a side of snark and personality with your weather forecast thanks to our App of the Week. Have you ever wanted your own snarky and robotic AI weather girl? 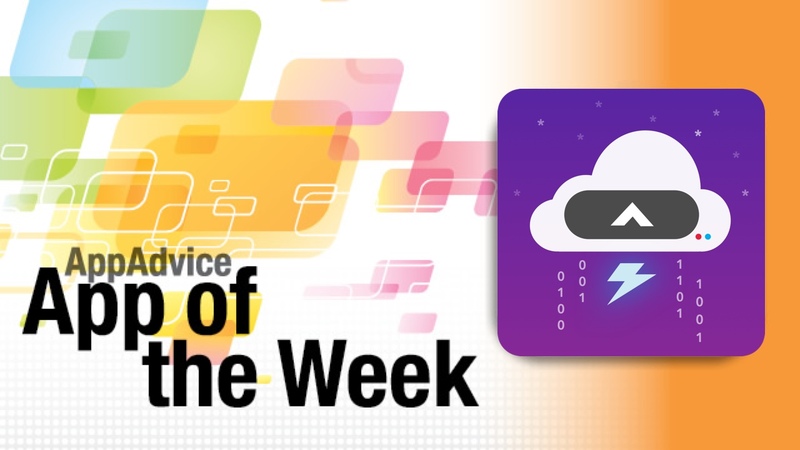 Now you can, thanks to our App of the Week, Carrot Weather from Grailr. Carrot Weather is the fifth iteration of the Carrot AI, which also makes her appearance in Carrot To-Do List, Alarm, Fit, and Hunger (all of which are great apps as well). Now, instead of nagging you about what you need to complete, wake up, or how to stay fit, Carrot can tell you what the weather is going to be like outside. Carrot Weather comes with a clean and flat design like the other four apps. The colors are bright and vibrant, and the animated themes to match the current weather conditions are lovely eye candy. On top of that, Carrot Weather has over 2,000 lines of snarky commentary on the weather, so you’re bound to get a laugh or two out of it. All of the weather data details that you want to know are featured on the main screen, with more details accessible from the forecast bar. Users can save their device’s geolocation data, as well as add multiple locations for quick reference. There are even “secret” locations that can be unlocked the more you use the app. On the main screen, Carrot Weather will inform users of current temperature, feels like temperature, as well as wind direction and speed. The forecast bar can be switched between short-term (great for rainfall), hourly, and daily. A tap on the bar or swiping up from the bottom brings up the detailed view, which has other bits of information like humidity, pressure, visibility, sunrise and sunset, moon phase, and a full seven-day forecast with text descriptions. For those concerned about data accuracy, don’t fret — Carrot Weather uses Forecast.io, so it’s comprehensive. We are all fans of the Carrot apps here at AppAdvice, and most of us are weather junkies as well, so this was a match made in heaven. If you have been wanting your own weather app with personality, then look no further than Carrot Weather. You can get it on the App Store as a universal download for $2.99. For more about Carrot Weather, don’t miss out on my complete review. Get faster access to your apps and actions with our Honorable Mention this week. Remember the whole Launcher debacle from last year? Well, the app has made a grand return to the App Store, and gets an Honorable Mention title from us this week. For those unaware, Launcher was the first app to bring launcher functionality to the widgets found in the Today view of Notification Center introduced in iOS 8. With this, users could launch apps or quick actions directly from the Notification Center, without having to open another app or unlock their device. However, last year Apple deemed this as a misuse of widgets and pulled it from the App Store. 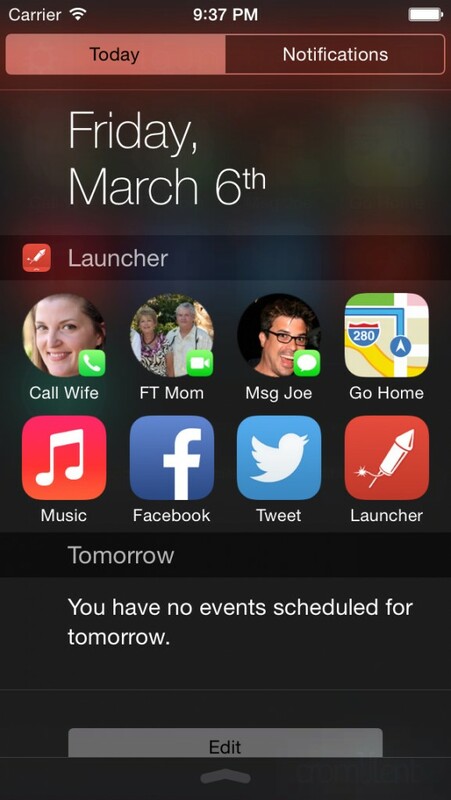 But it seems that Apple has had a change of heart recently, and Launcher is now available once again. The app is free to download and use, but there is a restriction on the number of shortcuts that you can add, as well as ads. A $3.99 in-app purchase will unlock three more rows of action launches, remove ads, and give you the ability to customize the widget size by changing icon size or hiding labels. We were fans of the app when it first launched last year, and like most of you, disappointed with Apple’s decision to “make an example” of it. But we are glad to see it back, and recommend giving this app a try if you want to make using iOS even easier than before. You can get Launcher on the App Store as a universal app for free with in-app purchases. For more about how Launcher works, make sure to check my original review when the app was first released.